Who Was the First Cuban New Yorker? 1. Chronology, of course: Who was the first Cuban in New York? But chronology shouldn’t be the only factor. It should be considered, I argue, in light of the other two criteria below. 2. The first Cuban New Yorker should be a clearly identifiable Cuban, not just someone born in Cuba. I’m sure there must have been Cuban-born persons traipsing through Manhattan not too long after Henry Hudson’s Half Moon entered New York harbor in 1609 (especially when you consider La Habana was already nearly a century old by then). But the first Cuban New Yorker should be someone who gave every indication that he thought of him/herself as a Cuban, not as a Spaniard, and certainly not as a loyalist of the Spanish Crown. 3. The first Cuban New Yorker should be a New Yorker, that is, someone who lived in the city and not simply a sojourner passing through. teenager that year and he would not even be competing with the venerable Varela for the honor of the first Cuban New Yorker, except that, well, he did arrive a few months before the priest. In fact, it was “Cristobalito” who served as Varela’s one-person welcoming committee, finding a rooming house for his former teacher and getting him oriented around the city. José Luis Rodríguez, the author of the excellent 1878 biography of Varela, describes how Mádan would hold Varela’s arm, steadying him as the two strolled around lower Manhattan until the priest could get used to walking on his own on the icy streets, a totally new experience for him (Varela arrived in New York on December 15thof that year, reportedly during a blizzard). I am not considering some prominent Cubans who meet criteria one and two, but, not, as far as I can tell, criterion three. One of the first Cuban exiles in the city was José Aniceto Iznaga, a young man from a wealthy landowning family of Basque origins that had established itself in Trinidad, in southern Cuba, in the early part of the eighteenth century. 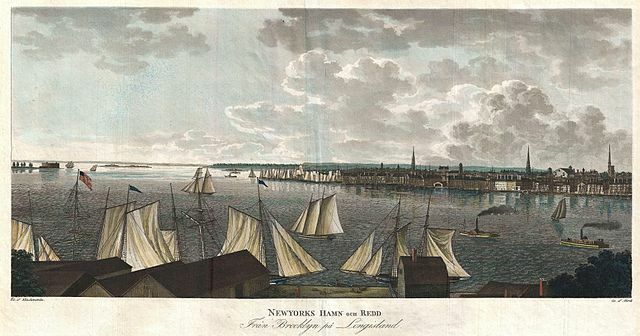 The young Iznaga had run afoul of the authorities in the island for his subversive activities against Spanish rule and moved to New York in 1819. Together with his brother Antonio and a young Cuban student named Gaspar Betancourt Cisneros (he will later figure prominently in Cuban history), Iznaga hatched plans for wresting Cuba from Spain with the support of Simón Bolívar. Two months before Varela arrived in the city, Iznaga and his co-conspirators boarded a ship for the northwest coast of South America for their meeting with the famed liberator. Obviously, nothing came of the initiative, and it is not clear if the group returned to New York. 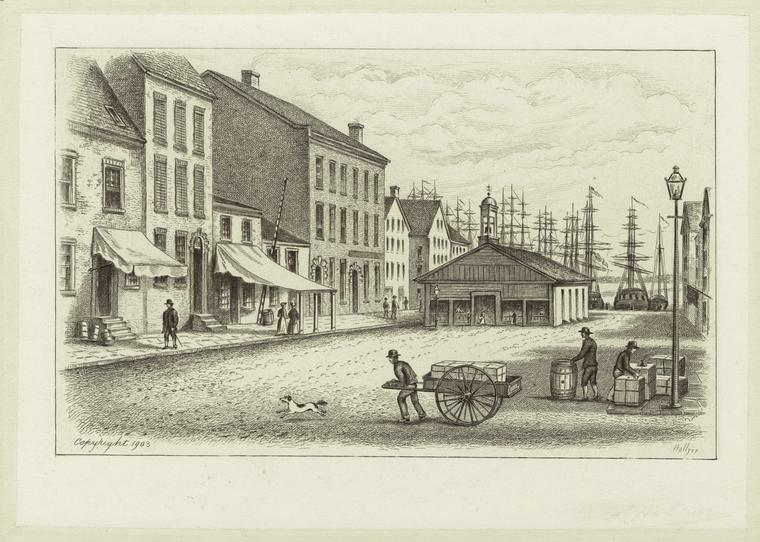 Little is known of Iznaga’s days in New York and there is no evidence that he remained in the city beyond his relatively brief stay as an exile. So here’s what I am proposing to do. In a subsequent blog post (not necessarily the next one) I will make the case for Mádan as the first Cuban New Yorker. In another post, I will make the case for Varela. Frankly, I have not made up my mind, so I will invite readers of CNY to weigh in and maybe we can reach a consensus (or maybe not). But two things are certain: 1) we’ll learn something about the beginnings of Cuban New York; and 2) neither candidate will get upset if he is not picked.